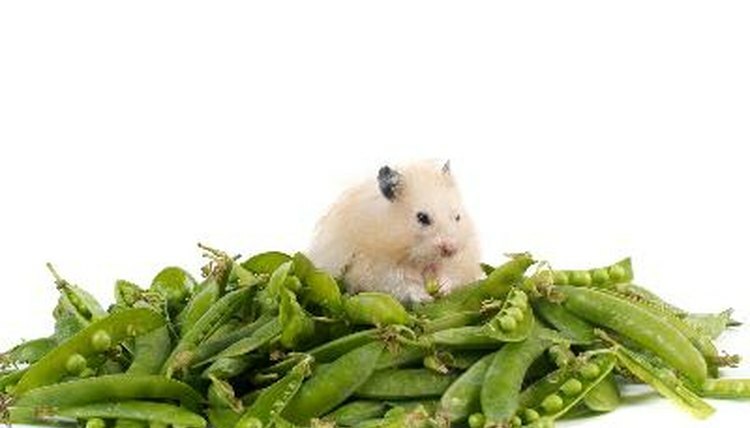 Hamsters may be housed with other hamsters under certain circumstances. Certain breeds can be introduced carefully to others and may even become close companions, but this takes time and patience. Be prepared to spend several days introducing your hamsters to each other and watching them carefully to ensure they are safe together before you can leave them unattended. The Syrian hamster is also known as the golden or teddy bear hamster. This breed of hamster is bigger than other hamsters and is a solitary, territorial creature who will fight with other hamsters, including other Syrians. You can keep Syrians in cages near each other without having a problem, but they don’t like to share accommodation. In the wild Syrian hamsters each have their own sleeping quarters and they need their space in captivity too. The various breeds of dwarf hamsters, called by names such as Russian and Chinese hamsters and Djungarian, are tiny, mild-mannered rodents approximately 2 to 3 inches long. They are social creatures and get along well with other dwarf hamsters, so you can keep them together with others in a cage once they have been properly introduced. You should ideally house them with others of the same gender, because if you put males and females together they will breed rapidly. Before you put two dwarf hamsters together in a cage, you need to let them become familiar with each other’s scents, unless they are litter mates and have been together since birth. Even if they are from separate litters, it’s best to introduce them while they are young. Introducing two adult hamsters to each other takes time and patience. Buy a cage with two separate sections, or create a divider in the center of your cage. Put one hamster in each side and switch them over a few times a day. This helps each to become accustomed to the scent of the other. After a week of using the split-cage method to introduce the hamsters, provided they are showing no aggression you can put them in a cage together. Add wood shavings and bedding from both cages and mix it together so their combined scents are present. Place edible treats and new toys in the cage to distract and occupy them. Wear thick gloves in case you need to separate them, because they can hurt each other badly in a fight. Once you see them grooming each other and sleeping together, you can begin leaving them overnight in the same cage.